A smart speaker is a device that can not only play your favorite music, but can provide answers from verbally introduced questions, and even control parts of your home via a built-in virtual assistant feature. A smart speaker greatly expands what we normally think of as a music playback system. This means that a smart speaker can serve as a central information source (weather, dictionary, traffic, directions, etc...), as well as serve as a 'home assistant' that can provide control of common household tasks, such as environmental control (thermostat), lighting, door locks, window shades, security monitoring, and more. Let's explore the possibilities a little further. Although there are no official industry standards on what qualifies a product as a smart speaker, the label is being applied to standalone audio devices that incorporate the following core features. Compact Size: Up until today, a smart speaker has needed to be compact, so that it could be placed anywhere around the house. A small size allows you to place the speaker virtually anywhere (a nightstand, a kitchen counter, on a bookshelf, etc). We expect smart speakers to be offered in a variety of small-to-large sizes as they (or rather if they) gain acceptance by consumers. Music playback: Smart speakers can play back music like any other speaker, but they aren't designed in exactly the same way. Unlike the speakers that you connect to a stereo or home theater receiver, these are self-contained powered speakers. Also, you can place multiple same-brand smart speakers around the house so that music that you have playing on one, can also play in additional locations simultaneously – similar to how dedicated wireless multi-room audio systems operate, such as MusicCast, Sonos, Play-Fi, HEOS, and others. Internet: A smart speaker can connect to the internet via your Wi-Fi home network. Initial setup may require the use of a smartphone or PC, which downloads a specific app that guides you through the setup process. Music Streaming: As a result of network/internet connectivity smart speakers have the ability to stream music from specific online sources supported by the specific brand/model. Bluetooth (optional): In addition to internet connectivity, a smart speaker may also provide Bluetooth support. This allows you to stream music directly from compatible smartphones and tablets (without depending on your Wi-Fi network). As indicated, Bluetooth support on smart speakers is optional, but it is included with Google Home and Amazon Echo. In fact, you can stream music playing on an Amazon Echo to additional external Bluetooth speakers. Voice Control: A smart speaker has one (or more) built-in microphones, that allow you speak commands that the speaker will follow (based on its functionality). So, thanks to its internet connection, you can get the temperature, forecast, raise the volume, etc. Virtual Home Assistant: In addition to voice recognition and control, a smart speaker can also function as a virtual home assistant. Possible home assistant features may include access to local over-the-air radio stations, TV, thermostat, and lighting control, message dictation, audio book playback, language translation, shopping (including ordering take-out and delivery), and hands-free phone calling. However, keep in mind that those added features are provided at the discretion of the manufacturer and none, one, or more, may be built-in. Some features may require firmware upgrades, or integration with external devices that may require an additional purchase (such as a smart plug that would connect to your lights). Also, Google Home and Amazon Echo will work with some third-party control devices, while Apple HomePod will only work with Apple Home Kit compatible accessory control devices.When shopping for a smart speaker, make sure that it will be able to perform the tasks you desire - and if the purchase of additional peripheral devices to make some features work is required. In today's world, there are some good reasons to buy a smart speaker. Flexible Music Listening: Replace your clock radio/alarm clock and compact music system, and stop running down your smartphone battery when at home to stream music to a Bluetooth speaker or home audio system. Just listen to your smart speaker. Convenience: You can easily place a smart speaker anywhere in the house. Also, all you need is your voice to operate it - you don't have to search for a misplaced remote control or smartphone. Also, you don't have to pick-up the newspaper, hop onto your PC, or grab your smartphone or tablet to get the latest news, weather, sport scores, or other information that may be important to you. Interaction With Other Devices: Depending on the brand/model of smart speaker, it may provide control integration possibilities with other devices around the house that can be controlled via easy voice commands. Also, using a smart speaker for home control activities, although not as comprehensive as a custom installed system, is definitely less expensive. 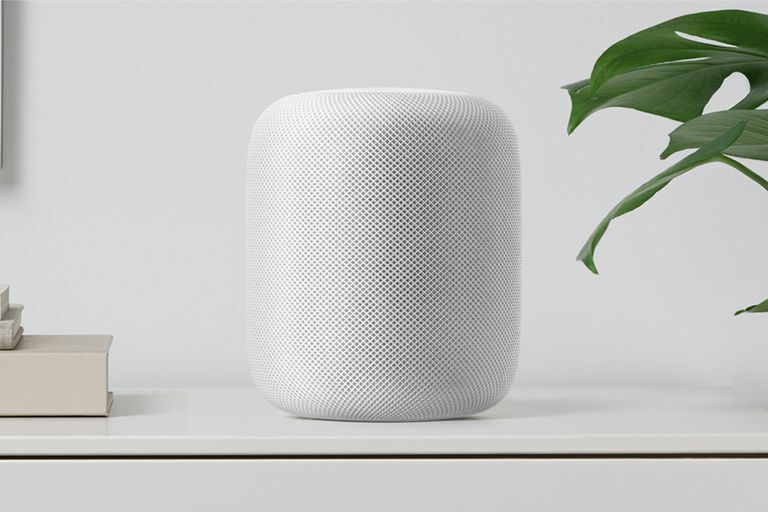 Sound Quality: Some of the newest smart speakers (such as the Apple HomePod) are going to begin to rival many traditional compact music systems, and other types of home speakers in terms of audio playback quality. Your Speaker Is Listening: Just as with a camera and voice-equipped smart TV, your smart speaker may be listening to more than just your commands. Talking To An Electronic Device: Even though many are used to using voice commands to perform web searches on a smartphone or smart TV, if you haven't experienced that yet, or just don't like the idea of talking to an electronic device and having it talk back to you may be unnerving. The Money Pit: Just as with most electronic devices these days, there is a cost factor to keep in mind. Manufacturers draw you in with what seems to be an inexpensive smart speaker, but once you get hooked, you may find yourself not only spending money to add more speakers to put in other rooms of the house, but spending more to add peripheral devices to control other parts of your home environment. You Only Want To Listen To Music: If music is your primary use, and the added features, such as control of other devices around the house, is not important to you, then the option to buy an inexpensive Bluetooth speaker or a jump into a multi-room wireless audio system platform may suit your needs better. Although a multi-room audio system can still balloon your budget, it is focused solely on your music listening needs. Smartphone and Smart TV vs Smart Speaker: You may already have a smartphone and/or smart TV. Although a smartphone can interact with a smart speaker, there a lot of apps available that enable your smartphone to perform a lot of the same home control functions that may be provided by a smart speaker. Likewise, if home control is your desire, some smart TVs (such as some models offered by LG and Samsung) can also interface, via downloadable apps, with some of the same control systems that a smart speaker can — and also add some video control to the mix, such as baby or security monitoring. The availability of smart speakers adds another dimension to both home entertainment and home control. Combining the ability to listen to music, with the ability to perform other personal and household tasks, definitely changes how we assess the need of traditional clock radio/alarm clock and compact mini audio systems. Whether you choose to take the plunge is up to you, but just like it is hard to find a TV that isn't smart, the smart speaker might eventually push traditional compact music systems off store shelves. There are weirder things than speakers on the smart home market that are turning into must-haves for consumers. Have a read!